You can’t see vegetable female vendors in my city (Bogor, West Java) or neighborhood. 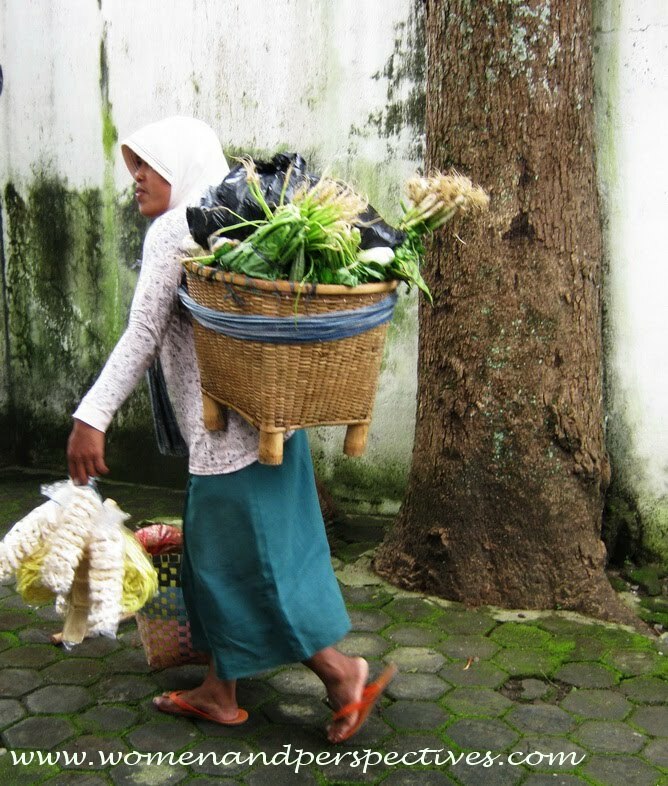 In Bogor, all vegetable vendors are men and most of them are using carts to bring and display their merchandise. When I go shopping in a vegetable market, I also see most sellers are men. Female vegetable vendor is a common view in my husband’s home town Bumiayu (Central Java, Indonesia). There are several of them. My husband has captured one female vendor. This woman brought her merchandise – fresh vegetable- with a plaited basket that placed on her back. Her two hands were full of other merchandise. A strong woman and a hard worker!